Around 1.1 million years ago, the world’s largest island was largely devoid of ice. Its bedrock stayed bare for some 280,000 years, according to a new study, and the same could happen again. Some might say this isn’t surprising given the name Greenland, but that’s not entirely clear at all. There’s this myth that the island was almost entirely covered in vegetation and stripped of ice when the first Viking settlers arrived. But the legend has it their leader Erik the Red came up with this name to lure people into settling there by making it sound more attractive. 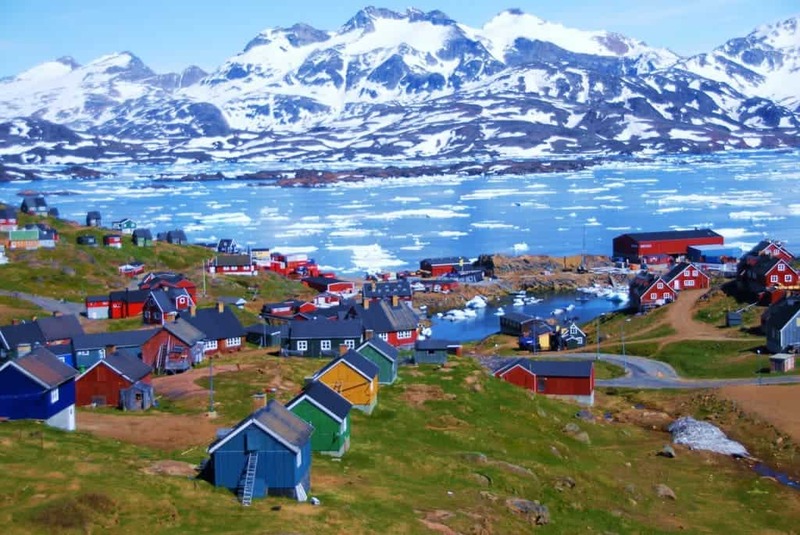 He might have just been a ‘small lie’ because parts of Greenland’s coastline really is green. Today, there are many areas on the island where people farm and raise animals. However, largely, Greenland is anything but green. It’s also possible that in the 10th century when the Norse arrived, Greenland may have been more hospitable than it is today. During that time, a brief period of local warming called the Medieval Climatic Anomaly raised temperatures a notch. This too is put into question by a 2015 study, which concludes, after studying cores from old glaciers, that the climate was already cold when the Norse arrived. What the science says so far is that the Greenland ice sheet is between 400,000 and 800,000 years old. This ice sheet extends about 1.7 million square kilometers (656,000 square miles), covering 80%. In some places, this ice sheet is three kilometers thick. For what we knew so far, Greenland, which is three times larger than Texas, could have always been covered in ice, but this is not the case says Joerg Schaeffer, a paleoclimatologist with the Lamont-Doherty Earth Observatory, and a professor at the Department of Earth and Environmental Sciences at Columbia University. Schaeffer and colleagues performed a first of its kind study — an isotopic analysis on the only rocky core ever extracted from the island. The core was drilled in 1993 and the mineral encased inside it can tell us not only the bedrock’s composition but also when and for how long it was exposed to ice. We had to wait until recently, however, for technology to catch up. Armed with modern, sensitive equipment for isotopic analysis, the researchers first dissolved the minerals in acid until these became atomized. Then, they compared the beryllium 10 and aluminum 26 isotopes ratios, which are only produced by cosmic rays interactions. If these are present, it means that layer of rock from the drilled core was directly exposed to sunlight, with no ice to block its path. The analysis revealed that Greenland’s bedrock was ice-free for 280,000 years until 1.1 million years ago. During this time, Greenland’s ice cover would have been only 90 percent of what it is today, the study concludes. “This means the Greenland ice sheet is really much less stable and more dynamic than we thought,” Schaefer said. Studies such as this one are important for predicting the stability of Greenland’s ice sheet, second only to that in Antarctica with respect to the volume of water it traps. This year’s seasonal melt in Greenland was way above average, with the third highest surface mass loss of ice in 38 years of satellite observations. Greenland seems to be on track to gradually melt, reverting maybe to a situation seen a million years ago. When this happens, a huge volume of water will be displaced causing sea level rise. “I would say that the leading hypothesis [now] is that not too much warming is required to remove much or most of Greenland’s ice to expose rock at GISP2,” study co-author Richard Alley told Gizmodo.